Steady State Vs High Intensity Cardio - Which One Rules Supreme For Fat Loss? Steady state vs high intensity cardio- which one rules supreme for fat loss? In a way, they both are. The old way of doing cardio is quite effective since it keeps your heart rate at a steady level for a prolonged period of time. This is the kind of cardio I would recommend right after training with weights, in order to achieve maximum fat loss. During weight training you achieve glycogen depletion and upregulate CAMP (enzyme supporting fat loss), which means the body will use free fatty acids for energy in the follow-up cardio session. 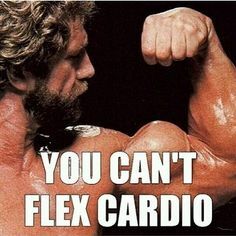 HIIT cardio also has its merits. It creates a higher energy output per minute than steady state cardio, and it saves time because sessions are usually only about 20 to 25 minutes. Your heart rate reaches higher peaks when performing HIIT cardio and your basic metabolic rate (BMR) stays elevated for 24 hours after the session, which means you burn some additional calories after the session. If you are pressed for time, 20 minutes of HIIT will burn more calories than regular low-intensity cardio. Additionally, studies show that a greater mobilization of body fat occurs because HIIT triggers an increase in catecholamines (adrenaline, noradrenaline, and dopamine). So why not just perform HIIT every time? First of all, not everyone is ready for it. Some people do not posses the necessary fitness to perform intervals. Also, it can be too stressful on your recovery, as well as joints. Sprinting might lead to over training. To most of my personal training clients in NYC I recommend one to two HIIT sessions on non-lifting days and two low-intensity sessions after your regular weight workout if maximum fat loss is your goal. Previous post: Training frequency- how often should you train each muscle? Next post: HOW TO BUILD A GREAT BACK!